Bangladesh has put aside two smaller liquefied natural gas (LNG) projects with trading houses Gunvor and Vitol to focus on two larger LNG import terminals, one of which is already in use while the second will start up in March. It aims to import 17 million tonnes a year of LNG by 2025, which in today's terms would make it a top five importer. This attracted commodity merchants Vitol, Gunvor and Trafigura in their bid to muscle in on the global LNG business. Bangladesh began importing LNG on a regular basis this month after the arrival of a Floating Storage and Regasification Unit (FSRU) in April in Moheshkhali port by Cox's Bazar. A second FSRU project, operated by Summit Corp with Japan's Mitsubishi Corp as partner, will start operations in March and double the country's import capacity to 7.5 million tonnes a year. Bangladesh had also touted several smaller projects, drawing interest from Vitol, Gunvor and Trafigura, as well as energy giants like Exxon Mobil. It is now changing tack. "These small projects are not a priority anymore," said Mohammad Quamruzzaman, managing director of the Rupantarita Prakritik Gas Co, the unit in charge of LNG imports at state-owned oil firm Petrobangla. "These are costlier than the bigger ones. Why should we go for the costlier option when there is no urgency right now? One bigger-capacity FSRU has started operations and another is expected to be commissioned by March," he told Reuters. Trafigura and Gunvor had vied for smaller LNG projects close to Chittagong, an industrial region north of Cox's Bazar. Gunvor appeared to have progressed the farthest with its plan to import LNG for a fertilizer complex. 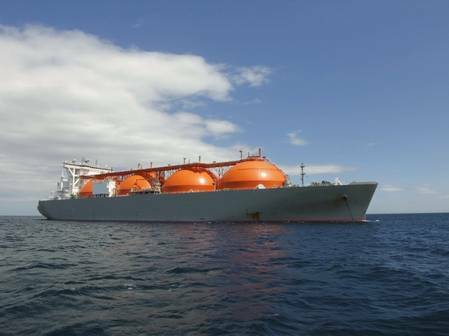 Belgian shipping firm Exmar said in May that Gunvor had chartered its small FSRU for 10 years. When asked about the Gunvor project, Quamruzzaman said its chances were "very slim", although he said all the LNG projects could be revived at anytime. A Gunvor spokesman said: "Our project has not been dropped." When Brent crude prices are at $70 a barrel, that translates to $10.37 per mmBtu and at $80 a barrel, it is $11.57 per mmBtu compared to $11.40 per mmBtu for October delivery on the spot market last week. "The deal with the trader (Gunvor) was almost finalized but it got delayed," the senior official said. "Now the big FSRU came online and we doubt this (the Gunvor deal) will happen."